Location: Located in Castilla La Mancha, the sheer expanse of nature at La Nava stretches out for thousands of hectares. It's steep and uneven terrain creates the perfect valleys, ideal for partridge shooting. About your host at La Nava: Javier Medem and Almudena del Moral, owners of La Nava, designed the lodge and the whole La Nava experience in order to make every guest feel at their own home. At La Nava you are the host, not us, and we will be there just to make everything easier for you. This is how we have created a unique and special atmosphere, because just like when you are at home, you will feel at La Nava. La Nava is world reference for partridge hunting in ojeo. Hunting experience at La Nava: La Nava is located in Castilla La Mancha, land of Don Quixote, a Spanish region with a greater hunting tradition in general, and partridge in particular. Just two hours and fifteen minutes from Madrid by car, its access is simple and is very well connected. Young, professional and dynamic, our secretaries, porters and drivers will ensure that your only concern is to aim, shoot and enjoy. We continue with the tradition, and that is that in La Nava we keep the customs intact, such as the food in the field, the horse-eye, the dogs retreiver, and the natural postures of wood and mountain. Pheasants and partridges are our main targets. Click here for quick link country guide. 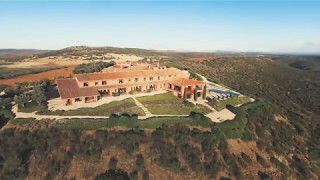 Thanks to its extensive size and its unique location, La Nava allows you to enjoy the different Castilian landscapes without even leaving the property. La Nava has its own accommodations, click here to view. For booking purposes, please contact your host for more details. by car or public transport to La Nava.